Can a 240v appliance work on 120v in US? Home » Basics » Can a 240v appliance work on 120v in US? Nearly all residential appliances are single phase devices and are connected to a center-tapped 240V single phase transformer winding. With respect to the center tap (neutral), there are two phases - one at each end of the winding. The two phases have equal magnitudes (120V) and opposite angles: 0-deg and 180-degrees. Residential power in the US is usually provided by the center tapped secondary of a distribution transformer. Two wires are hot, 120V at 180 degrees out of phase therefore 240V when used together. For 120V there is another neutral wire. Connecting either hot wire and the neutral provides 120V. This is how most modern US homes are wired. The 240V is used only for high wattage appliances like clothes dryers or water heaters. 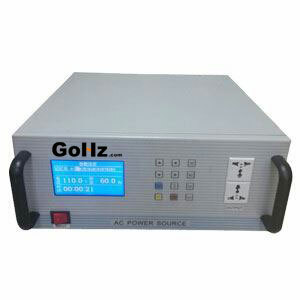 Household appliances, like air conditioners/dryers/ranges/ovens, use 120V/240V with neutral and ground. Always review the machine wiring diagram. It may be using 120V to step down to 24V for control circuits. Also, how the heaters (in case of dryer/range/ovens) are connected inside the machine. In this case, alone 240V will not work. It helps to know the machine wiring diagram for correct power connections. There is nothing magic about three phase. Almost all power systems all over the world generate three-phase high voltage electricity at 50 or 60 Hz. For home or business use, many appliances and machines are single phase at 120 or 240 volts, using one phase of the three phase system. 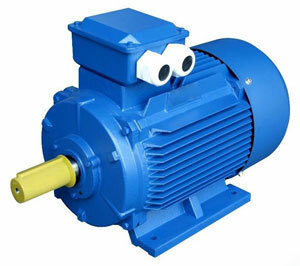 Large machinery uses three phase at 240 or a higher voltage. 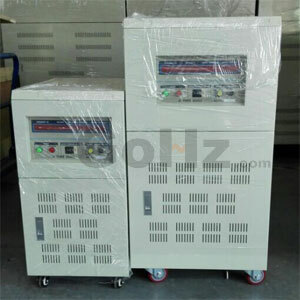 A variable speed drive with a 208Y/120 output could be used to operate 120v equipment but it would be "overkill" unless you had several appliances and kept the phases balanced with about the same load.